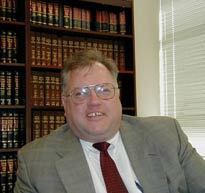 Mr. Cox obtained an MBA from Pace University in 1978, graduated from New York Law School in 1982 and received his LL.M. in Corporation Law from New York University Law School in 1994. Mr. Cox' expertise encompasses corporate and limited liability company matters, as well as all aspects of copyright and trademark work. His broad-based experience includes negotiating employment packages, structuring financing and acquisition transactions and advice on regulatory matters. Mr. Cox was formerly employed by a Fortune 100 Corporation where he worked on corporate acquisitions and dispositions. Prior to joining the firm, he was a partner at Herzfeld & Rubin, P.C. He also has extensive experience with respect to legal and regulatory matters concerning retailers and catalog merchants. Send mail to William H. Cox.